M-20 machines miter cut up to 75 degrees from 0 (90 degree cut). M-20 machines are capable of cutting 2x6s on edge for bevel cuts. 4x4s cut with ease. This is our base model angle cutting machine. Manual & Air operated 4" high x 9" long swing up material stops. 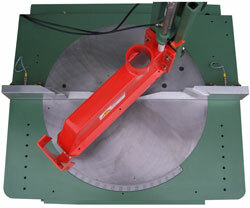 Hydro-pneumatic control of saw cutting speed for non-ferrous applications. 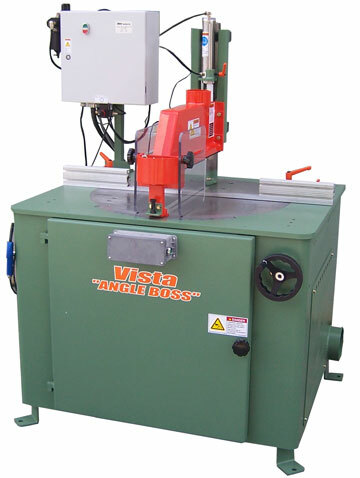 Only quality components which are readily available from Vista Machines or any number of supply houses across the country are used in the manufacture of "ANGLE BOSS" cut off saws.